Spent the weekend recovering from cancelled flights and flight changes. Friday morning started with difficulty in getting online confirmed seating boarding ticket on a United Airlines nonstop flight that I had for Saturday morning from PIT to SFO. I spent 45 minutes on the phone with customer service and then the IT department before I got a confirmed seat assignment. I guess they were starting to have computer problems with me at that time. Then, at about 3:00 PM, I get a call from United saying my Saturday 6:00 AM flight was cancelled. They wanted to know if I wanted to leave earlier at 5:30 AM. Which would have meant getting up at 2:30 AM to get there in time. Why even go to bed? I said no way. This by the way, was after United had moved the flight from 7:00 AM to 6:00 AM a week earlier. So, they put me on a flight at 10:00 AM to Chicago, and then had me switching planes in Chicago to SFO. When I got to the Pittsburgh airport for check-in, the lady behind the counter insisted that I could check in myself with the kiosk. I told her that I was told that someone would have to help me. She continued to insist that I do it myself. However, there was another agent that assisted me, and entered my code number into the machine, but there was a problem. He said, someone will have to help me. I thought to myself, no kidding! So, the main lady from behind the counter comes back over to me, and says, “this is the morning from hell!” I didn’t find out till a bit later, that United was having major computer problems. She started keying in my flights and after a few minutes I sensed there was something wrong. I asked her what the problem was. She informed me, the first flight was delayed an hour due to the flight crew having to wait their appointed resting time. This however would mean that I would most likely miss my connecting flight in Chicago. So, she actually double booked me (with an upgrade to first class) on a second flight out of Chicago to SFO, which was scheduled to leave an hour later. Okay, now I am leaving an hour later from Pittsburgh, and of course, I arrive in Chicago an hour later too. However, they end up delaying the other flight leaving Chicago by almost an hour to accommodate the late arriving flights. Since both flights I was booked on were now set to leave nearly at the same time out of Chicago, I figured it sure would be nicer to fly first class on the second flight, instead of a center seat assignment on coach for the other flight. Now I am talking with another agent at the gate flight check-in counter. I tell her my story, show her my paperwork, and ask if I could just go on the other flight since I already was booked there too. She thought that would be fine, and proceeded to cancel my one flight and confirm me on the other. This is where another round of problems started. Once she unbooked me from the one flight, she could not confirm me on the other flight, even though I had paperwork to show that I was booked on it. She actually couldn’t understand how I got to Chicago, due to the paperwork not showing up properly. I told her, the whole story again and said, I simply checked in at the counter. So, she pulls another agent over, and they talk about the issue. She decides to give me a first class boarding pass for the other flight and just signed it herself. It wasn’t until I was on the other flight, seated in my first class seat, that I felt comfortable that I was in fact heading to San Francisco. I do have to mention, I could really get use to first class flying. I think I really like being pampered on the airlines. The service, the wine, and the meal were terrific. And, my knees did not hit the back of the seat in front of me. Much more comfortable! 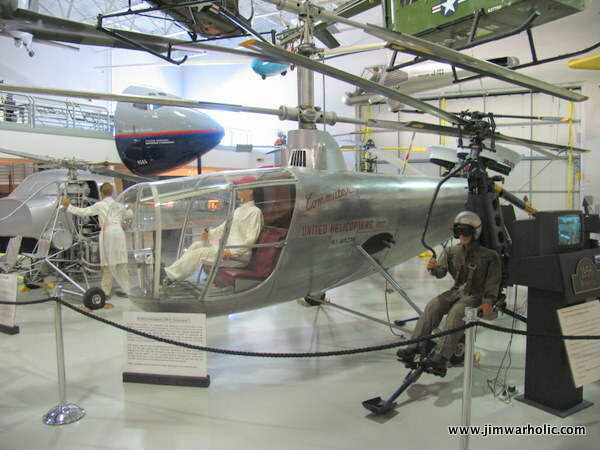 A while back, my wife and I went on a field trip for one of her extra, ongoing, lifetime, college courses to the Hiller Aviation Institute, Museum, Education and Research Center. 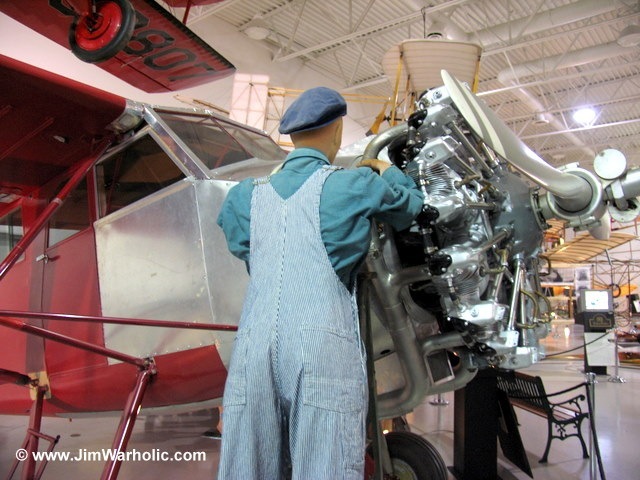 The Hiller Air Museum is located at 601 Skyway Road, San Carlos, CA 94070. The hours of operation are from 10am to 5pm, 7days a week. Admission as of this writing is Adults – $11.00, Seniors (Age 65+) $7.00, Youths (5-17) $7.00, and Children (4 and under) free with paid adult. This is a really fun place to take in the sights and sounds of aviation history. There are a large number of exhibits to take in. There is even a Boeing 747-136 forward section of the fuselage with the cockpit on full display that is available for viewing and even sit down in the pilot’s or copilot’s seat to move a knob or two on the avionics control panels. 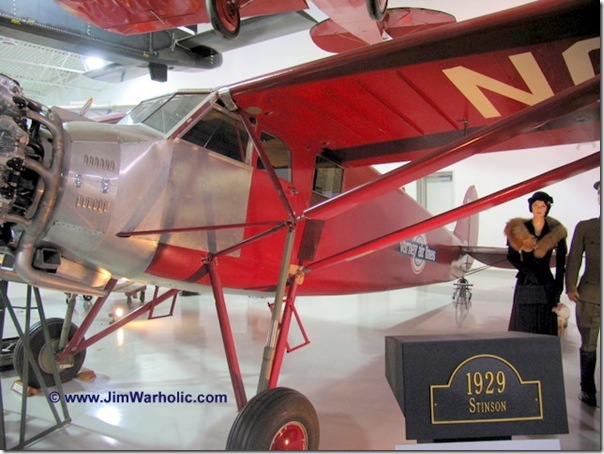 There were some really cool old airplanes of yesteryear to view above your head. 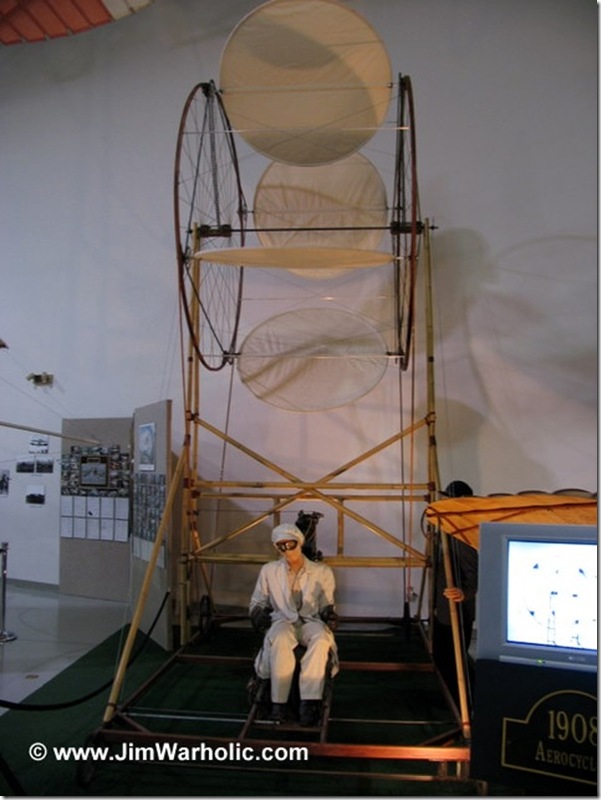 And there were indeed some wild looking contraptions that never got off the ground. This is definitely a fun place to spend a half a day, or more, if you are really into the history of aviation. Here are a few more pictures of things to view at the Hiller Air Museum. Pictured above is the 1909 Wright Engine. 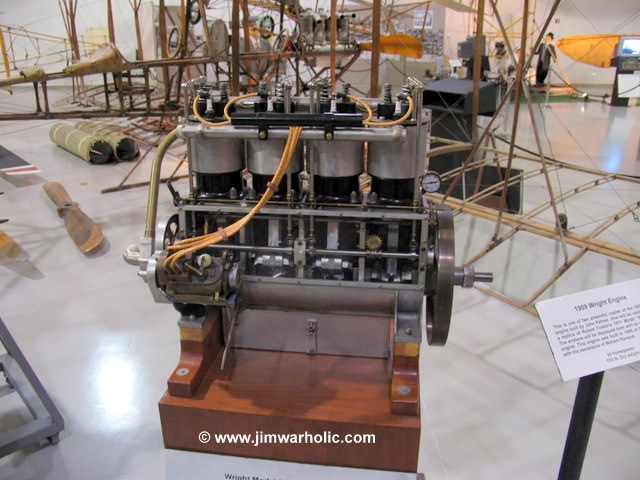 “This is one of two airworthy copies of the 1909 Wright engine built by John Palmer. 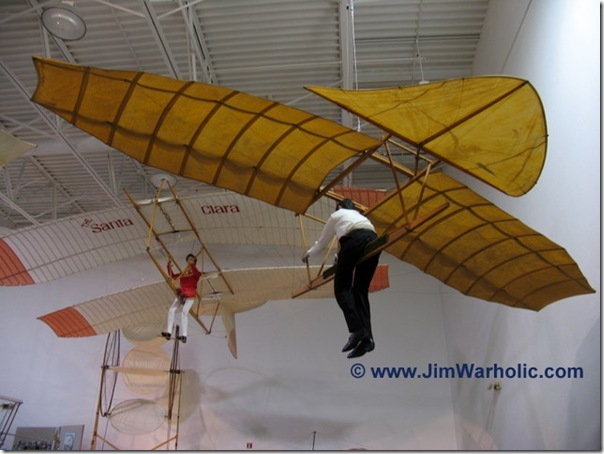 One will be used to power a replica of Robert Fowler’s 1911 Model ‘B’ airplane. 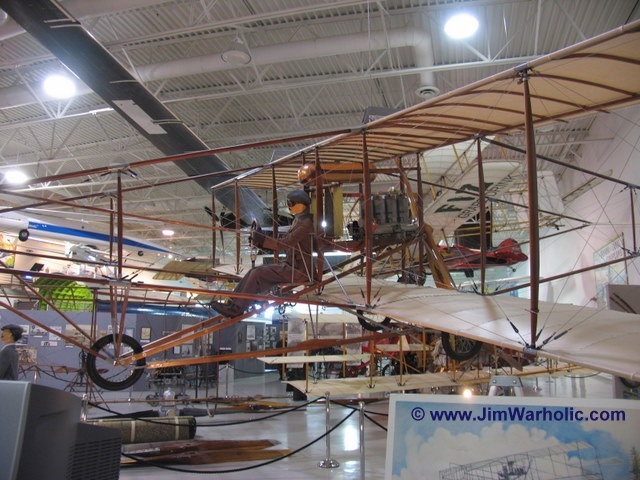 The airplane will be displayed here with an original 1911 engine. This engine was built in 1998 at Campbell, CA, with the assistance of William Renaud. 30 horsepower, 170 lb. dry weight. In addition to this being a place for adults to spend some leisurely activity, it is a great place for field trips for school students of all ages. The staff is quite knowledgeable and provides various types of guided tours and hands on activities. For more information, visit www.hiller.org for the details published online.